In today’s tutorial, we will instruct you step by step on how to convert a video file to any other format effortlessly. 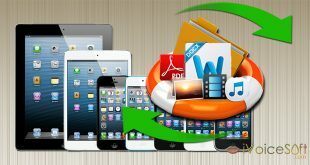 The only requirement for this task is that you need to have Wondershare Video Converter Ultimate installed on your computer. Wondershare Video Converter Ultimate is a one-stop video solution for all who love watching videos on different platforms. 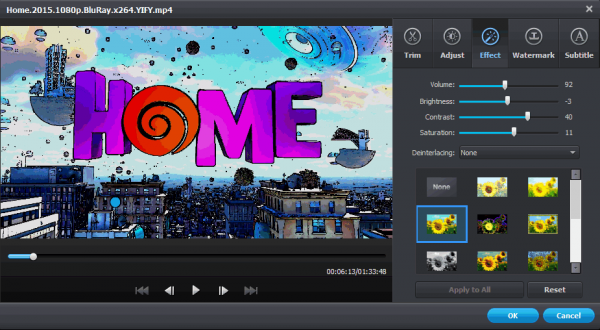 This software tool can effortlessly convert, edit, download and burn your videos. 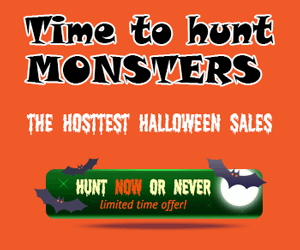 Moreover, it also packages everything in an uncomplicated, flexible, and original interface. 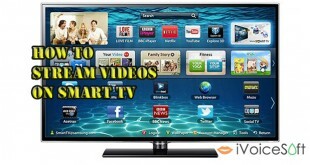 Read iVoiceSoft’s full review here. Note: A lifetime license for this tool costs $49.95. 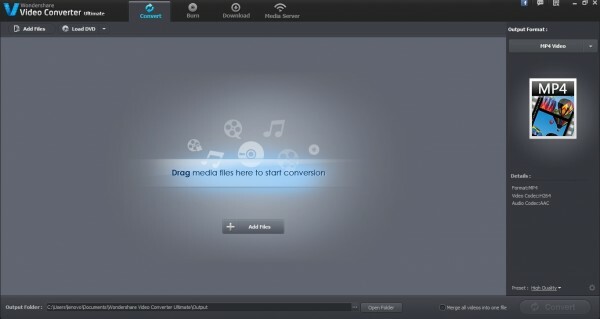 But all iVoiceSoft’s readers can get a great chance to grab Video Converter Ultimate at much cheaper price. After finishing the installation process, click on its desktop icon to run the program. 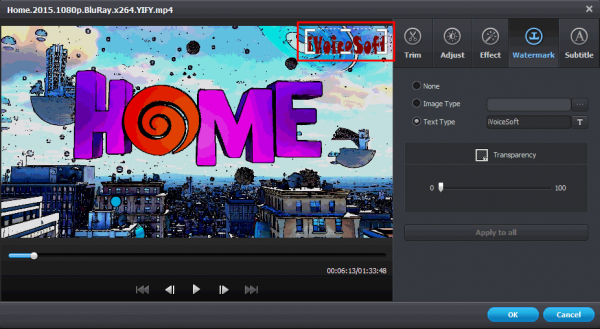 Click o Add Files button to import your video to the program. For multiple files, you can press Ctrl and choose many files at a time. A new window allowing you to modify video will appear. 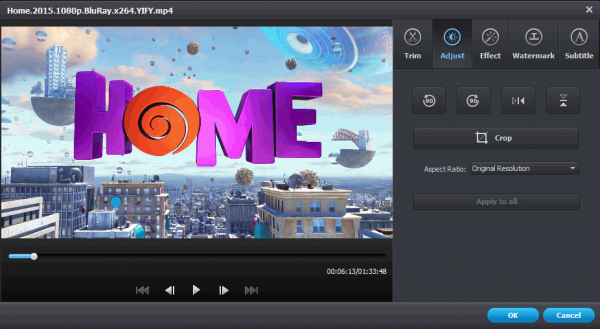 Here, you can play to preview the file and make advanced adjustments for it as well, for examples, Trim, Adjust size, apply Effect and Watermark, or/and add Subtitle. 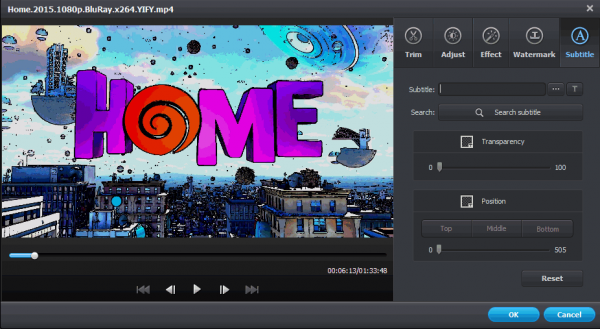 On the right pane you can choose Output format for the video. Click on the down arrow (1) and pick the target video type you need. Wondershare Video Converter Ultimate supports a rich list of output video formats so that you will feel very convenient picking one for conversion. You either can convert it to other popular video types, audio files, HD videos, 3D videos, and even video types for web uploading. In addition, this program is also capable of converting normal video files to special formats which is compatible to iOS, Android devices. Cool, isn’t it?! Tip: You can mark specific formats as your favorite (by clicking “star” symbol at the right-bottom corner of the format, so that they will be shown in Favorite list for your quick selection in the future. Click Open Folder (2) to select destination folder for your output video. You can tick (3) if you want to merge multiple video files into one. Finally, click Convert (4) to start the process! That’s all! Wait until the process is done and you can get the new video file in the location folder. Have fun!